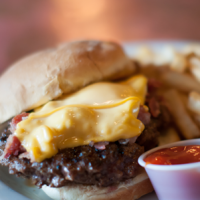 The Works is owned and operated by Scott and Jamie Gordon, both of whom were born and raised here in Loveland. They share a keen interest in seeing the historic district of Loveland not only succeed, but thrive. That interest, along with their desire to build a unique, family friendly restaurant serving up great food was the driving force behind the creation of The Works. One of a kind Food. One of a kind dining location. 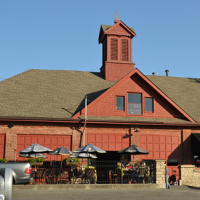 The building in which The Works resides has historical significance in Loveland, which is one of the major reasons why Scott and Jamie decided on approaching the City of Loveland about their idea. This landmark was built in 1905 and served originally as a water filling station for steam locomotives. Later on, the building served as the firehouse and public works building. Scott and Jamie's first hands-on experience with the facility was back in high school during class float building activities. Only at The Works, can you experience "The Crusader". 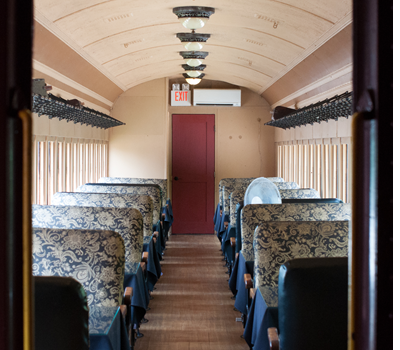 The authentic 1921 Pullman passenger car hails from Gettysburg, PA and has been remodeled to seat 36 people comfortably. If you are interested in booking The Crusader for a private party, please email info@TheWorksPizza.com. 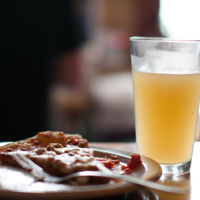 From $2 Bud Light drafts on Mondays to Long Island Fridays, it's always happy hour at the Works. UPCOMING EVENT? BRING OUR BRICK OVEN. 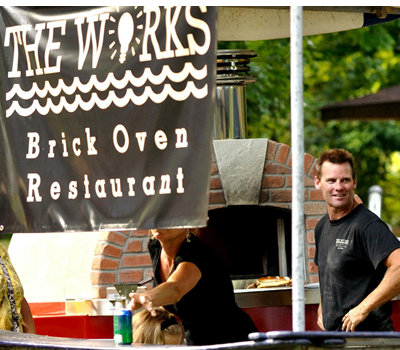 Let us cater your next event with our authentic wood-fired brick oven. Watch us hand make your favorite Works pizza right before your eyes and bake it to perfection just like in the restaurant. Weddings, company outings, family gatherings, birthdays... you name it and we'll be there. I love the Works. The food is awesome and the staff are great. Andy W.
It is my favorite place to grab a quick beer and a snack. The staff are always friendly. I would highly recommend it. Tom A.